Weknow.ac as a browser hijacker is a problem specifically for Mac computers and their associated browsers – Google Chrome, Safari and Mozilla Firefox. Those sites that offer some PC-based virus removal software for weknow.ac probably know nothing in malware analysis and simply scrape content from other blogs. Weknow.ac attacks Macs after users download and install some cost-free programs in the form of fake Flash Player update alerts. It’s not something unusual today when Macs are being attacked by adware and potentially unwanted utilities. Thus, having a powerful cleaner specifically for Mac is as important as having anti-virus for PC. Weknow.ac hijacker is not able to provide you with any relevant search data. Instead, it keeps performing a lot of illegal activities in your computer, such as permanently spying over your browsing habits, collecting your personal information and transferring it to third parties for different illegal purposes. In the light of this information, we strongly advise that you follow this tutorial that clearly explains steps you ought to implement to fix your system in an automatic way. Performance of browser contaminated by weknow.ac. 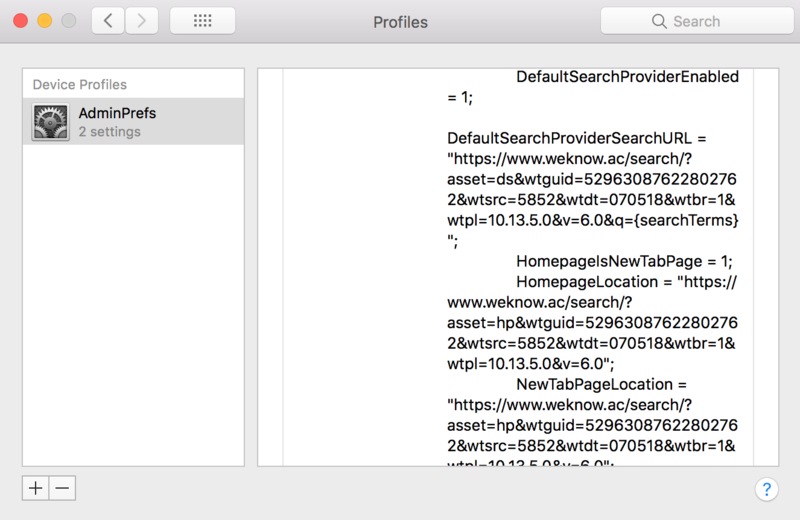 Milestones to delete weknow.ac from Mac browsers. Tips to delete weknow.ac hijacker manually. How does your browser work when weknow.ac is enabled in it? Weknow.ac browser hijacker will produce an extremely negative impact on performance of your computer. It will make your system function extremely slow due to presence of many other potentially unwanted programs which are interconnected with the hijacker. Their purpose is to prevent you from deleting the hijacker from your browser in a simple manual way. Altogether, these programs and the very hijacker will cause high CPU usage and eventually may result in utter failure of your system to operate, even if you have the computer that was just recently purchased. Weknow.ac will promise to furnish you with some excellent search results, however, these abilities are surely overestimated. The truth is that the hijacker is simply not able to furnish you with an adequate search data. Instead, it will simply load your screen with a lot of irrelevant advertisement banners and various sponsored links that will lead you to many dangerous sites in the web. Plus, the hijacker will permanently track your browsing data and may transfer this information to third parties for various illegal purposes. Hence, it plays the role of spyware in your system. In the light of this information, you’re strongly advised not to surf the web through weknow.ac fake search engine. Channels through which weknow.ac hijacker gets enabled in your browser. Potentially unwanted programs like weknow.ac are injected into browsers using the software installation method called ‘bundling‘. There are certain free programs (both for Windows and Mac systems) which may be downloaded over various freeware download resources absolutely at no cost for you. As a price for downloading this free software, its installer may additionally contain other programs suggested to be installed by default. Hence, the installer of certain free application may also be interconnected with installers of other unwanted utilities, such as adware, browser hijackers, etc. If you ever deal with such cost-free applications, make sure you always select the option of a custom (advanced) installation to prevent any additional software from entering your system. Another path through which weknow.ac hijacker gets injected into systems is because of poorly updated databases of available anti-virus software. You may have some security tool enabled, however, due to its outdated databases this software could miss certain malware intrusion attacks and thus permit weknow.ac virus to become the part of your browser. If this is so, it’s time for you to reconsider your existing anti-malware and rather give preference to some other program which definitely can protect your system. To fix this particular problem of weknow.ac hijacker in the home page of browser, please refer to this malware uninstall guide below. 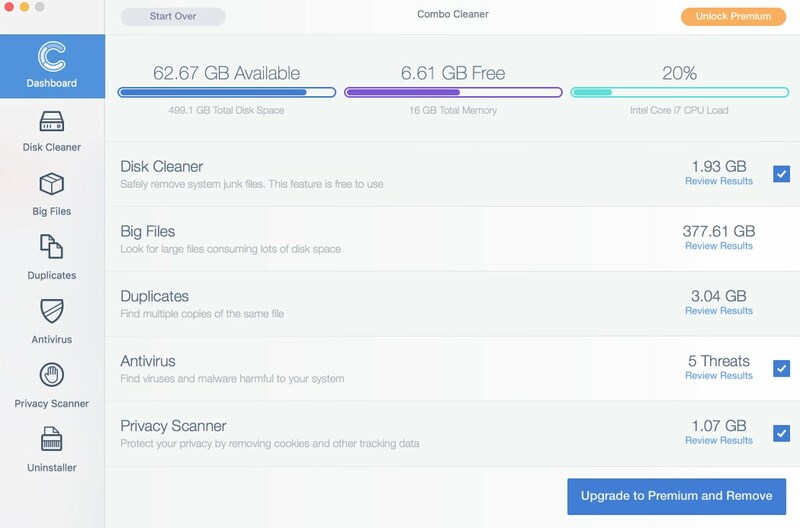 Recommended application and important milestones to get rid of weknow.ac hijacker from Mac computers. Manual tips to clean your home page infected by weknow.ac hijacker. Umprow.com push notifications virus removal tool. Yetill.com push notifications alert (removal tool).